Marie-Louise von Motesiczky was born in Vienna on 24 October 1906. Her father Edmund, a talented amateur cellist and devoted huntsman, died when Marie-Louise was only three and her brother Karl five. Her mother Henriette came from an extremely wealthy and cultured family whose relations included many distinguished names from the social and intellectual life of Vienna, (among them the philosopher Franz von Brentano and Robert von Lieben, the inventor of the amplifying valve). The family also made an impact on the origin of psychoanalysis, Motesiczky’s grandmother Anna von Lieben being one of Sigmund Freud’s early patients. 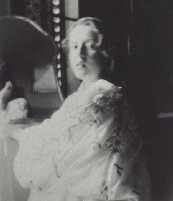 Aged 13, Motesiczky left school – a mistake, as she later admitted. She subsequently attended art classes in Vienna, The Hague, Frankfurt, Paris and Berlin and, in 1927/8 was invited by Max Beckmann to join his master class at the Städelschule in Frankfurt am Main. 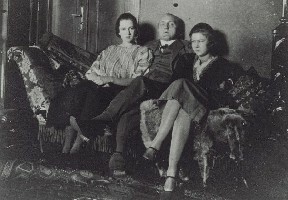 Beckmann had been introduced to the Motesiczky family in 1920. The powerful painter left a strong and lasting impression on Motesiczky both as a person and an artist and was to become a life-long friend and influence. Motesiczky spent a decade quietly developing her artistic skills, exhibiting only once, in 1933, with the Hagenbund. After the Anschluss (the annexation of Austria into the German Third Reich) on 12 March 1938, she and her mother left Vienna immediately. Marie-Louise von Motesiczky’s brother Karl (1904-1943) refused to leave Austria where he had returned at the end of 1937 after spending several years in Berlin, Copenhagen and Oslo as a disciple of the psychoanalyst Wilhelm Reich (1897-1957). He used the family house in Hinterbrühl near Vienna as a meeting place for those opposed to National Socialism and to shelter Jewish friends. In 1942 he was betrayed, imprisoned in Gestapo headquarters in Vienna then sent to Auschwitz, where he died in the hospital block on 25 June 1943. 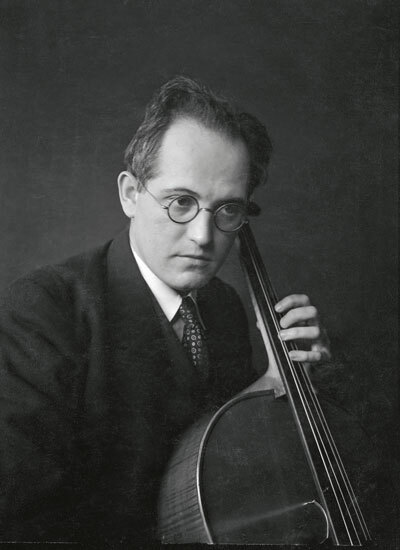 Like his father, Karl was a keen amateur cellist; his last communication was a request from Auschwitz to friends in Vienna for his cello and a food parcel. 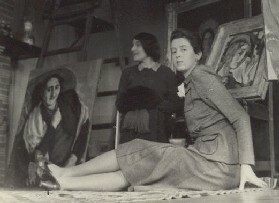 With her mother Marie-Louise von Motesiczky went to Holland where she had her first solo exhibition in 1939. 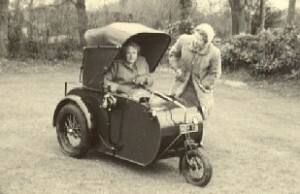 Shortly afterwards they left for England and after a brief stay in London moved to Amersham in the latter part of 1940. It was here that Motesiczky really got to know the writer Elias Canetti and his wife Veza, whom she had met in London in 1939. He became her close friend, lover, and companion for the next three decades. In 1943, Motesiczky joined the Artists’ International Association and took part in several of their exhibitions. The following year, Motesiczky’s first solo exhibition in London took place at the Czechoslovak Institute. She also renewed her acquaintance with Oskar Kokoschka who had been a friend of the family in Vienna. After the war Motesiczky moved to London. Two solo exhibitions in The Hague and Amsterdam in 1952 were followed two years later by one at the Städtische Galerie in Munich and one at the Beaux Arts Gallery in London in 1960. The first success in her native country came in 1966 when the Wiener Secession staged a large solo exhibition which subsequently travelled to Linz, Bremen and Munich. In the early 1960s, she bought the house at 6 Chesterford Gardens where her mother soon joined her. The following years were marked by an ever closer relationship between daughter and ageing mother. By the time Henriette died in 1978, aged 96, Motesiczky had produced a series of beautiful and moving images of her. Together with her portraits and self-portraits these striking and truthful paintings of extreme old age and helplessness are among the best of her artistic oeuvre. The artistic breakthrough in the United Kingdom came with the major solo exhibition at the Goethe-Institut in London in 1985 which achieved enormous critical acclaim. 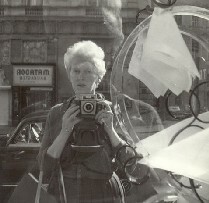 By the time the Österreichische Galerie im Belvedere in Vienna held a retrospective exhibition of Motesiczky’s work in 1994 the artist had already established her reputation as an important Austrian painter of the twentieth century. 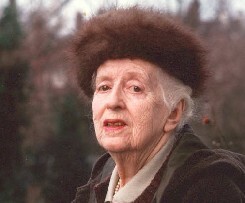 Marie-Louise von Motesiczky died in London on 10 June 1996.